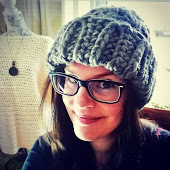 Well, at HappyBerry we had a free five minutes and thought what crochet gorgeousness could we whip up and share with you in just a few minutes? 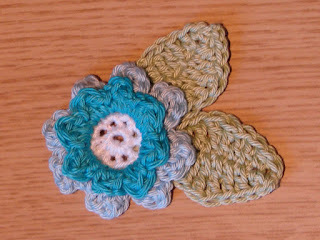 and thus this little pretty flower came about, just perfect as an applique on a hat or bag. We'll let you decide! G 4.0mm Hook and any DK yarn, we chose some DK cotton yarn in 2 shades of blue and some green and white. 3. Join your dark blue yarn with a sc in a front loop of your last round then crochet 1dc into the same st, 1dc and 1sc in the next st, repeat this method around until you have 8 petals by crocheting [1sc, 1dc in next st, 1dc, 1sc in next st] Sl st in 1st st to fasten off. 4. Now join your light blue yarn in a back loop of step 2 (the white) with a sc and crochet 1dc, 1tr in the same st, 1tr, 1dc, 1sc in the next st, repeat this method until you have 8 petals by crocheting [1sc, 1dc, 1tr in next st, 1tr, 1dc, 1sc in next st] sl st in 1st st to fasten off. 5. 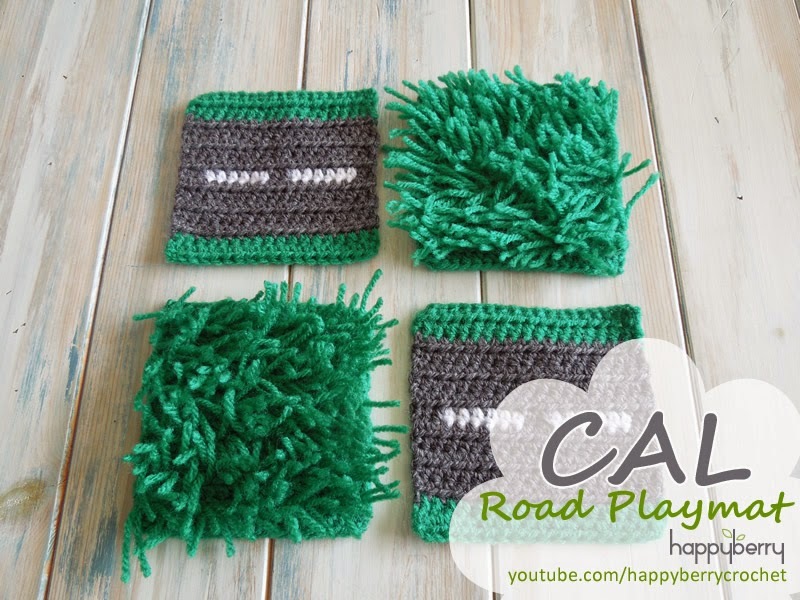 Now you want to create some leaves so get your green yarn and ch11, 1sc in 2nd st from hook, 1hdc in next st, 1dc in the next 2 sts, 1tr in the next 2 sts, 1dc in the next 2 sts, 1hdc in next st, 1sc in last st (10). 6. Turn your work clockwise and crochet into the foundation row's chain spaces with 1sc in the first ch sp, 1hdc in the next ch sp, 1dc in the next 2 ch sps, 1tr in the next 2 ch sps, 1dc in the next 2 ch sps, 1hdc in the next ch sp, 1sc in the last ch sp. Fasten off and sew onto your flower underneath, hide your tails. Make another leaf if desired for added beauty.